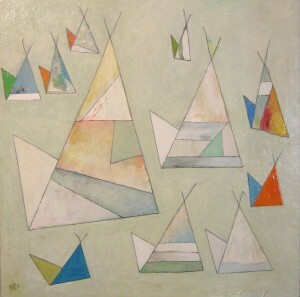 The Redfield Gallery in Northeast Harbor, Maine, is exhibiting Neuman’s artwork throughout the 2012 Summer season. Rita Redfield and Sunne Savage are hosting two receptions for the rotating installation for Neuman’s work on paper and canvases. Selected images of the works on display can be seen here.